In recent weeks Google and Apple brought the eSIM into the spotlight by including it within their latest product launches, the Google Pixel 2, Google Pixel 2 XL and the Apple Watch Series 3 with Cellular. The eSIM gives us an improved and more secure customer experience, better designed devices, opens up new market opportunities for operators and enables entire new categories of connected devices. Let's explore this baby in a little more detail. Please bear with us for the next few paragraphs, as we look back in time. SIM (Subscriber Identity Module) cards store network-specific information used to authenticate and identify subscribers on a cellular network and for the last 27 years have consisted of a physical card containing the chip which has to be inserted into the phone. You may or may not remember, but in 1991, the SIM card that you inserted into your phone was the size of a credit card! In the intervening years the size of the humble SIM card has dramatically reduced. As manufacturers continuously strive to make smaller, slimmer and lighter devices with more features, space is at an absolute premium. Even the humble headphone jack is starting to disappear to save precious millimeters, though the cynics among us may say that is to up-sell wireless headphones. Surely the Nano-SIM, which at 12.30 mm in length and 8.80 mm wide is small enough? Yet, as an industrial designer, you have to remember that it's not only the size of the SIM card itself but also the space taken up by the associated internal hardware and circuitry that needs to be accommodated. For many years, manufactures have had to design and accommodate the physical SIM card via SIM card trays or other internal slots. In the quest for more durable and waterproof phones, the more ingress points that can be removed the better. More importantly, if you want to change operator either after your contract has ended or you're traveling on holiday, you have to go and seek out a new SIM. In certain parts of the world, that's easier said than done. It's all changing though. In the last few years Apple introduced the Apple SIM for use in iPad and as we led with, Google and Apple has included an eSIM as part of its new product launches. The eSIM/Embedded SIM, or as it's more formally known, embedded Universal Integrated Circuit Card (eUICC), is smaller again at 6 mm in length and 5 mm in width and is soldered onto a device's motherboard at the point of manufacturing while having the same functionality as a removable SIM. It has M2M (Machine to Machine) and Remote Provisioning capabilities. Now a GSMA standard, it wont be long before we see the eSIM become standard in other top tier handsets from Apple and Samsung, quickly followed by the others. Remote Provisioning capabilities within the eSIM standard provide us with an enhanced customer experience when activating and managing our phones. Through our phones settings, we can select our operator and what plan we want and that's it. Taken to its logical conclusion, in the scenario that I described previously when traveling, your phone will know it has changed location and offer up a number of local operators and plans. While sounding great in theory, we are yet to see if operators would like that. An additional consumer benefit that we've heard discussed is that the eSIM should ensure future devices are cheaper to manufacture. Passing the cost saving to consumers, of course is a whole different story and it may not happen at all. Here at GSMArena we focus on phones first and foremost, but it would be remiss of us to exclude the other devices to benefit from eSIMs. Especially considering that phones are at the core of how we 'activate' and manage those devices. 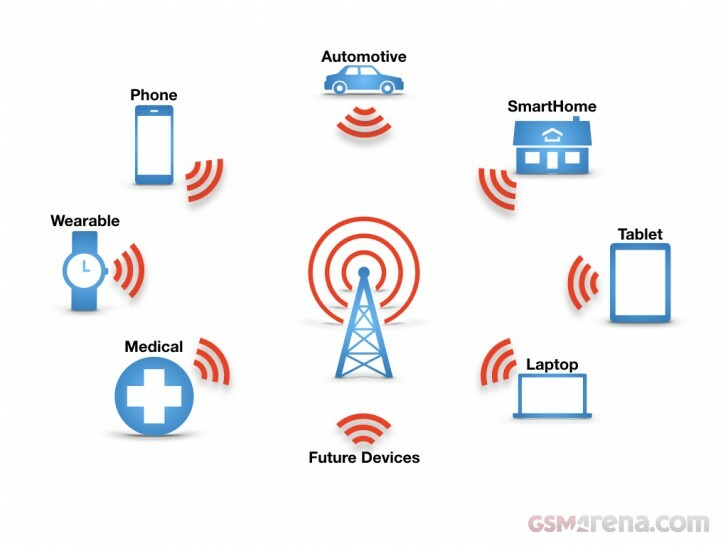 It's been estimated that within the next few years the Internet of Things devices will become the largest connect category, overtaking mobile phones. The eSIM not only helps these connected devices work but also enables new categories of devices with less compromise. What if Apple or Samsung had to fit a physical SIM into the Apple Watch Series 3 with Cellular and the Samsung Gear S3 frontier LTE. They would have been bigger? And with even poorer batter life? Wearables are only one category that benefits from an eSIM. Automotive makers, with the inclusion of an eSIM allows us to quickly connect our cars to cellular. Laptops will benefit from the inclusion of the eSIM while providing brands and re-sellers the opportunity to up-sell/cross-sell through the use of flexible data bundles. The eSIM is the future but it will not happen overnight, look down at your phone now and it's still got a physical SIM, and will still need one when you pass it onto your kids, other family members or sell it. In the Google Pixel 2 and Google Pixel 2 XL the eSIM is currently only used by Google Project Fi and thus it has a physical Nano-SIM card tray for all the other operators. 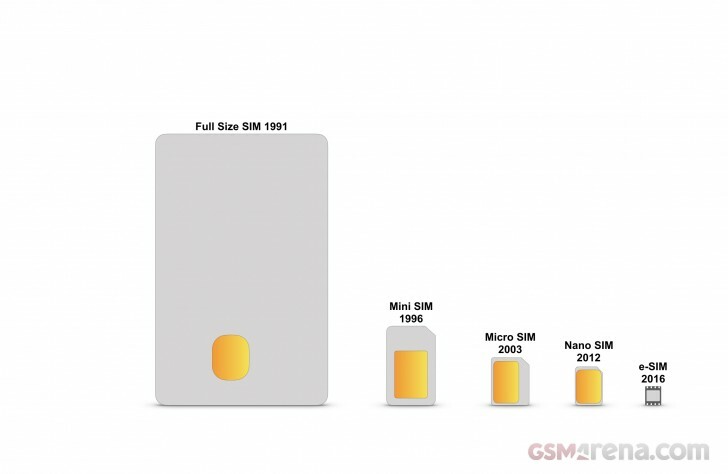 What is certain though, given the time it will take manufacturers to include eSIM's as standard, operator adoption and the lifecycle of current devices, it wont take another 27 years before we'll see the physical SIM card consigned to history once and for all. If the very reason for making the e-sim in the first place was to enable carrier switch, then how does that lock you to a carrier?